I have a Task List with columns Task Name and Due Date. I have created a workflow that if due date=today then send an email. The email is sent every morning to remind people of the tasks due. What I need in the email is all the task names with due date=today. However, when I do my look up the workflow returns only one value. But in the same email I want to see all the tasks that are due today. SharePoint warns me about this possible unique lookup but don't know how to go around it. 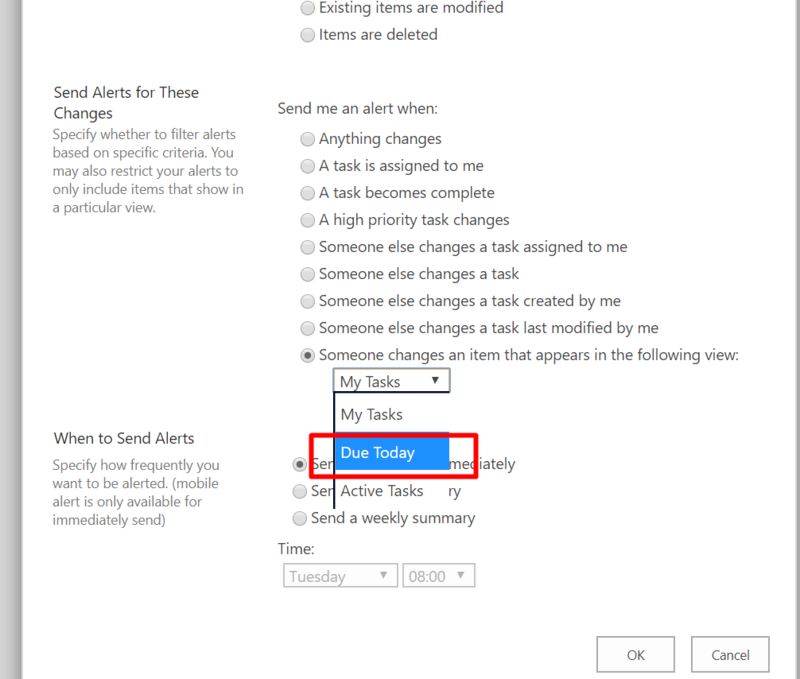 One possible option could be is to set an alert (List>Alert Me) rather than doing it through workflow e.g., You can set alerts based on the particular view. Below I have selected items 'Due Today' view. Not the answer you're looking for? Browse other questions tagged workflow sharepoint-email workflow-lookup or ask your own question. How do I create an email trigger/workflow from SP list?